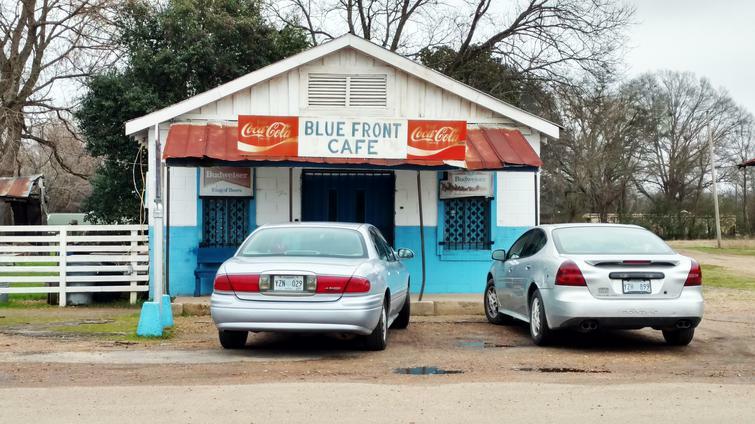 The Blue Front Cafe, 107 E. Railroad Ave, considered the oldest active juke joint in Mississippi, was opened in Bentonia in 1948 by Carey and Mary Holmes. 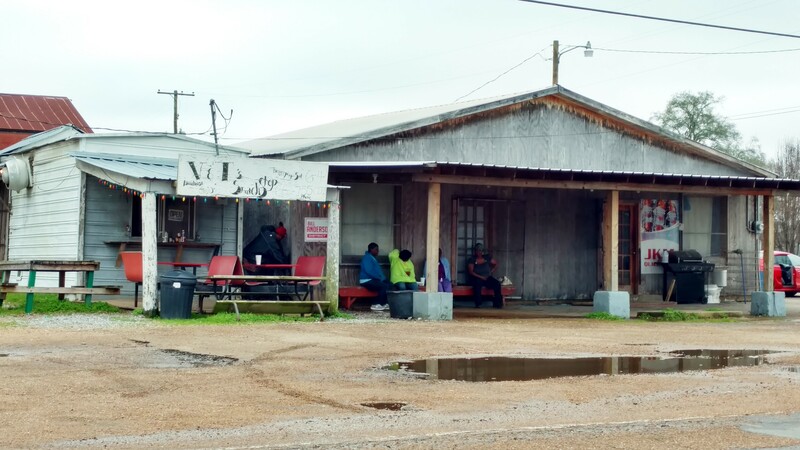 They sold groceries, moonshine and hot meals, especially known for their buffalo fish. 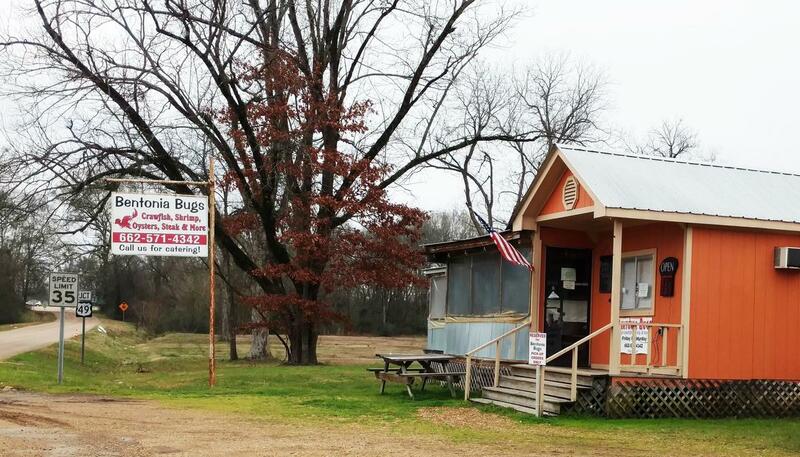 It also included a barbershop at one time. 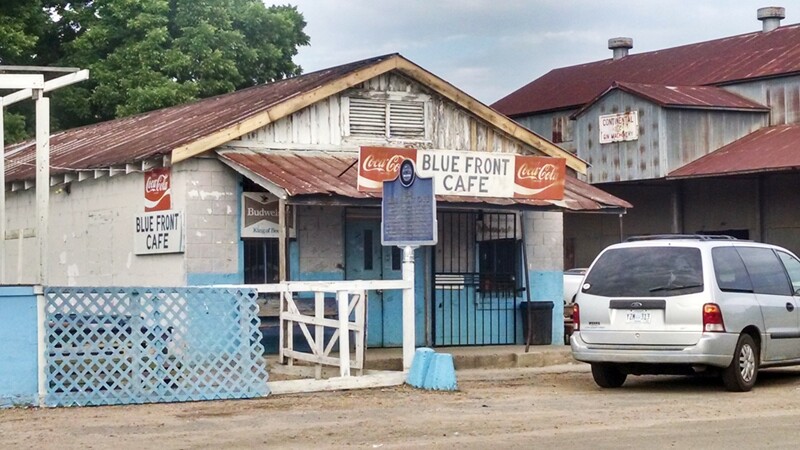 The Blue Front operated 24 hours per day during the cotton harvest. Skip James, Rice "Sonnyboy Williams II" Miller and "Son" Thomas played there. 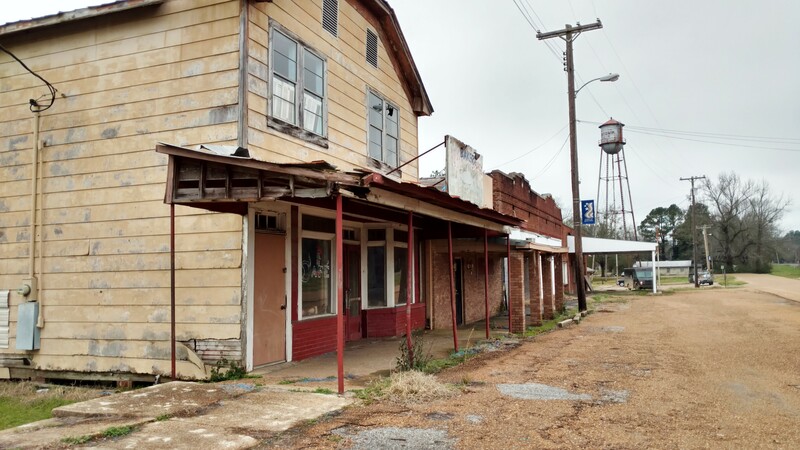 The Blue Front also hosted local bluesmen in the "Bentonia" style, characterized by a weird, spooky quality, dark lyrics and open minor guitar tunings. 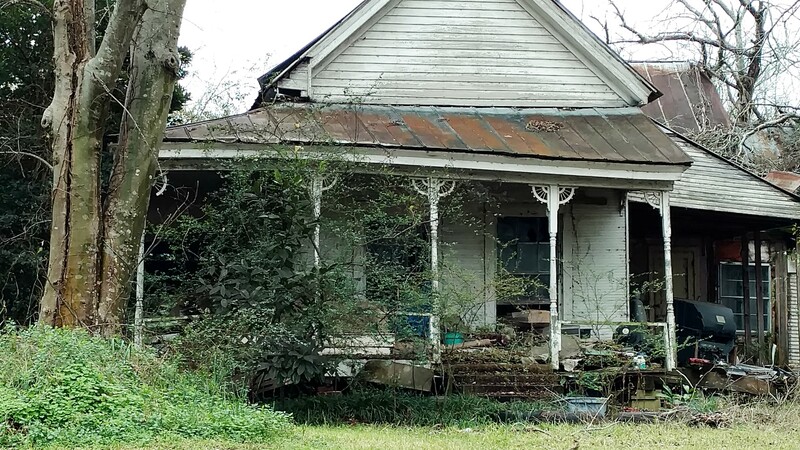 The Holmes' raised ten children and three nephews, sending most of them to college. 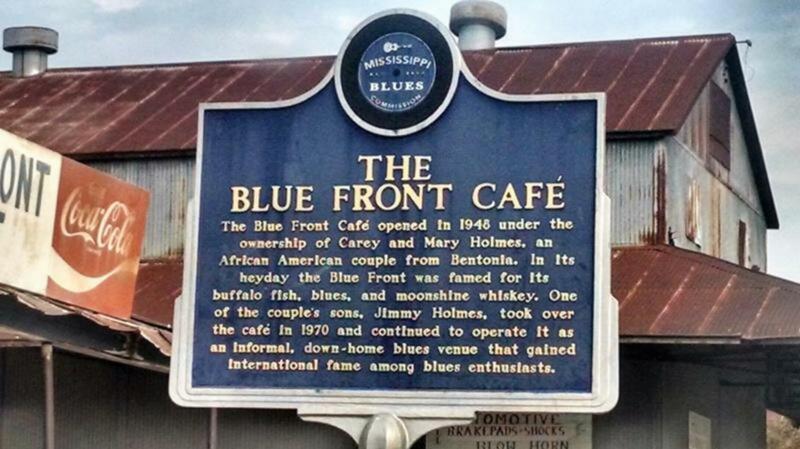 After Carey Holmes died in 1970, his son, noted bluesman Jimmy "Duck" Holmes, took over operation of the Blue Front. His first two CDs were recorded in the Blue Front. 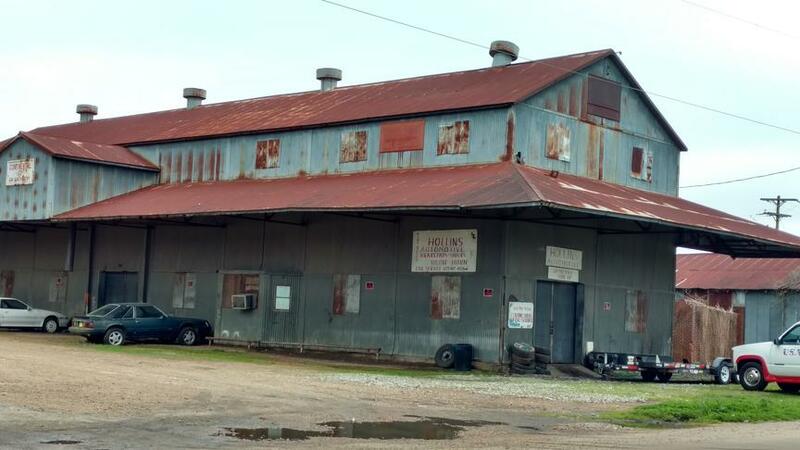 He hosts the annual Bentonia Blues Festival on the third Saturday in June. 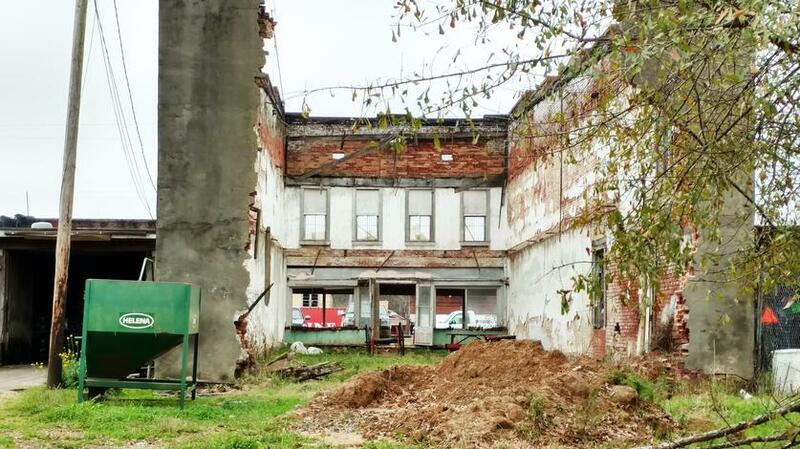 The above photo of the roofless building shell is the tallest building in the row of old storefronts in the photo below.